The moon cake, also called “walnut cake”, “palace cake”, “small cake”, “moon pastry” and “reunion cake” etc, is a special pastry eaten on traditional Chinese Mid-autumn Festival. The annual festival custom of a whole family getting together, eating moon cakes and enjoying the moon dates back thousands of years. The moon cake first appeared in ancient times as an offering to the moon. At that time, emperors would pay homage to the sun in spring and to the moon in autumn. 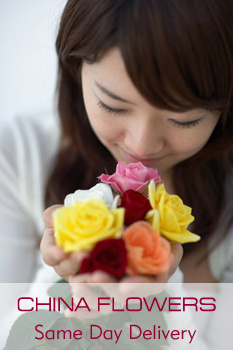 It was also a custom for the general public to worship or pay homage to the moon in mid autumn in every lunar August. The age-old custom was handed down to later generations and eating moon cakes at the Mid-autumn Festival has become an inseparable part of the celebrations. Various legends about the origin of moon cakes have been circulating in China throughout the ages. Mooncake is a Chinese pastry traditionally eaten during the Mid-Autumn Festival. In the Tang Dynasty, bakers and sweet shops specialized in moon cakes appeared in the capital city of Chang’an. In the Ming Dynasty, some bakers engraved the motifs featuring the myth of “Goddess Chang’e flying to the moon” on moon cakes. In the Qing Dynasty, there were more and more records about moon cakes and the making of the cakes were increasingly elaborate. 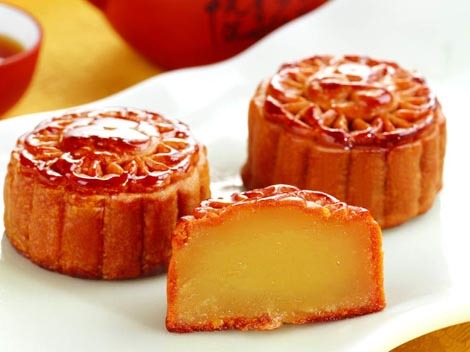 There are a wide range of moon cake types in terms of production locations and flavors. The dozen or so most famous moon cakes by location include Beijing-style moon cakes, Guangdong-style and Suzhou-style moon cakes. The most common flavors include sweet, salty, sweet-salty and spicy etc. The round moon cake looks exactly like the full moon in the night sky. More importantly, it symbolizes a family get-together and reflects the family culture and the special importance Chinese people attaching to the family reunion. The moon cake is not just a kind of food, but more of a cultural element deeply penetrated into Chinese people’s hearts, symbolizing family reunion and embodying spiritual feelings. The moon cake is undoubtedly a key element in the Chinese culture. Even today, while eating moon cakes on Mid-autumn Festival, overseas Chinese miss their relatives and beloved ones in China even more, eagerly hoping to reunite with them. Under China’s influence, southeast Asian countries like Japan, South Korea and Thailand also make it a custom to eat moon cakes on the Mid-autumn Festival. China’s efforts to put the Mid-autumn Festival and moon cake culture on the list of the world’s intangible cultural heritages are underway.